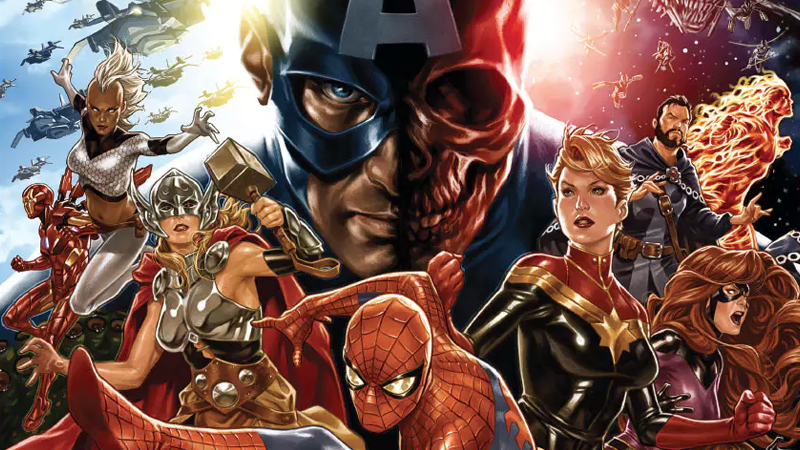 Ever since Marvel started teasing it, we’ve long suspected that its upcoming Secret Empire event would be about Steve Rogers’ revelation to the wider Marvel world that he is secretly one of Hydra’s masterminds, and is trying to take over the Earth. Well, thanks to ABC News, we know it’s going to be exactly about that. Marvel has officially unveiled the first major details about Secret Empire, a nine-part event series by Nick Spencer and Steve McNiven that will see Steve Rogers make his opening gambit in a bid to bend control of the world to his, and his reformed Hydra’s, will. That will, seemingly, open with Steve’s current ongoing plan to get a massive horde of Chitauri to come and pummel Earth with the might of its biggest-ever invasion force, but it will also mean that Steve Rogers, long held as the moral core of the Marvel Universe, will come into the light and reveal himself as one of its most dastardly villains, a lifelong agent of Hydra. I mean, only sort of—there is that bit where he’s only really a fascist because he’s been brainwashed by a reality-bending cosmic cube and whatnot. But hey, call a fascist spade a fascist spade and all that. We’ll definitely see an impact on our new, younger generation of heroes, a huge turn for them, a Watergate moment for them. They will have to grapple with what this means and reset their heroism. You don’t want it to be bleak and miserable, you always want to have hope and be uplifting, and that’s the aspect of this story where the other characters in the Marvel Universe have to kind of come together for. Will they prevail or will Steve Rogers make America great again? Secret Empire kicks off with a #0 prequel issue this April.